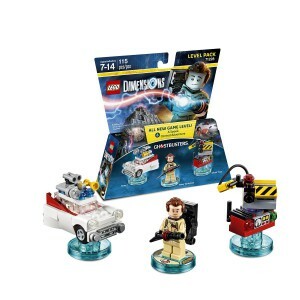 What is a Lego Dimensions Level Pack? - Join the Building Craze! Starter packs, level packs, team packs, fun packs… it can be a little confusing. 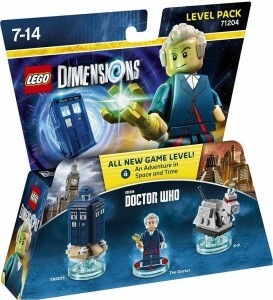 What is a Lego Dimensions Level Pack? The level packs are expansions to the game that add new mission-based levels and extend the game-play for more hours of fun. 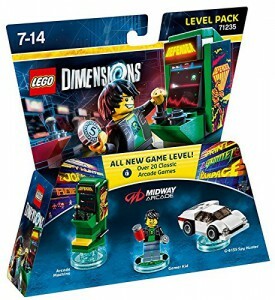 Keeping with the main idea of the game, the models in these level packs have to be built and attached to their special game tags before they can be used in the game. Then during the game you will be asked to rebuild some of them to be able to get more abilities and solve the more difficult puzzels. Currently there are 6 level packs available to buy and there is a good chance that more will be released in the future. All the level packs are not machine specific (only the Starter Packs are for specific game platforms). The list price of all the level packs is $29.99, but the are often slightly cheaper on Amazon. Click on the image next to each one to go to Amazon and check the latest price. This level pack unlocks over 20 classic arcade games in the Midway Arcade world. Help Gamer Kid put the retro arcade game characters back where they belong while enjoying some retro arcade games. Add a new dimension to your gaming experience with this level pack that adds The Ghostbusters “A Spook Central Adventure!” level. Help the Ghostbusters, led by Peter Venkman, to save New York from Grazer, and so also save the rest of the world. 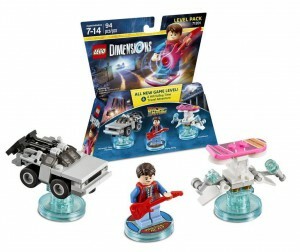 This pack adds “A Hill Valley Time Travel Adventure” level from the Back to The Future world. What will you find in this pack? Help Marty find a way to travel back to the future to rescue his scientist friend, Doc Brown. 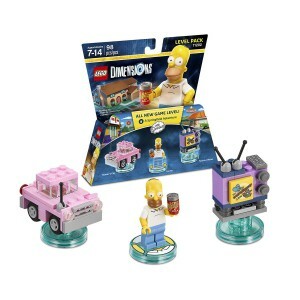 This pack unlocks the exclusive The Simpsons “A Springfield Adventure” level. Homer needs your help to uncover the riddles of the Coyote and seek out his soul mate! 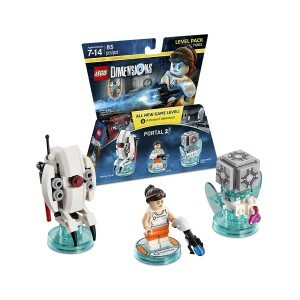 This one unlocks the exclusive Portal 2 “A Portal 2 Adventure” level. Journey as Chell and battle through the newly rebuilt Portal 2 Aperture Science Test Labs filled with puzzles, Neurotoxins, and GLaDOS and Thermal Discouragement Beams. No w you can unlock the Doctor Who “An Adventure in Space and Time” level. What models do you get in this pack? Help Doctor Who carry out his daring plan to rewrite the future in a self-rescue mission that will save the Universe! Use his in-game abilities to solve puzzles and defeat enemies. Those are the 6 available level packs. This pack will unlock the Adventure Time Adventure World and allow you to challenge friends in the Pillow World Battle Arena. 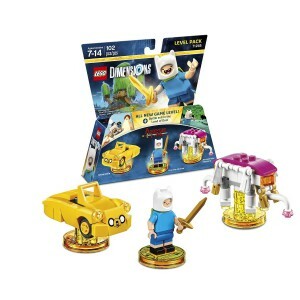 Join Finn on his mission to find the Enchidrion and prove to Princess Bubblegum that he’s a hero! Travel through the Forest of Mount Cragdor, the Dark Magician’s Brain World and more on your quest. 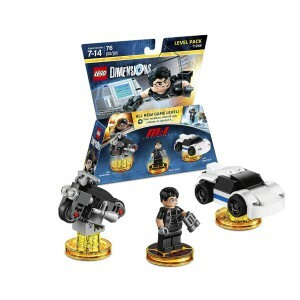 With this pack you will be able to unlock the Mission: Impossible Adventure World and Battle Arena. So what comes in this pack? Ethan Hunt, the secret agent, is being framed for the theft of highly classified materials from IMF and needs your help to find the true villain! Infiltrate your way through the American Embassy, CIA Headquarters and more. Do you have any of the level packs? Which one would you recommend as a “must have” pack? Leave us a comment below and share your thoughts.